The “flower coast” of Normandy extends from the Seine estuary in the east to the mouth of the Orne at the town Ouistreham in the west. A seaside resort joins the next one there. 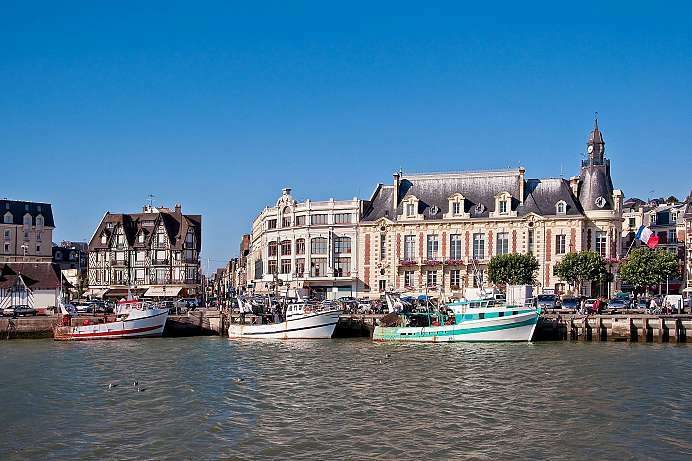 Deauville and its little sister Trouville, Houlgate and Cabourg are some of the well known seaside resorts. Well-kept beaches, chic casinos and of course flowers make the coast a popular holiday destination for the Parisian jet set. A typical summer stay includes visiting sailing regattas, golf tournaments or horse racing, as well as seeing and being seen on one of the chic beach promenades. During the annual film festival in Deauville, French and international stars and starlets meet on the Normandy coast. This city, located between Caen, Rouen and Le Havre, was merely a farming village until the mid 19th century. This is when Charles de Morny, a half brother of Napoleon III, turned the “swamps and sand into a kingdom of elegance,” which was to become a magnet for fashionable Parisian society. Neo-Romanesque luxury hotels, a casino and a horse race track contributed to the expansion of the city. Kings, Hollywood stars, artists and composers soon came to visit. The attractions are topped off by a yacht harbor and an attractive boardwalk. The city in the Calvados was for centuries relatively insignificant compared to Harfleur on the other bank of the Seine estuary. Due to a lack of money to modernize the site, the narrow six-storey houses and fortifications of the 17th-century at the Vieux Bassin have not been modernized or dismantled which is the only reason why everything is still very much the same. 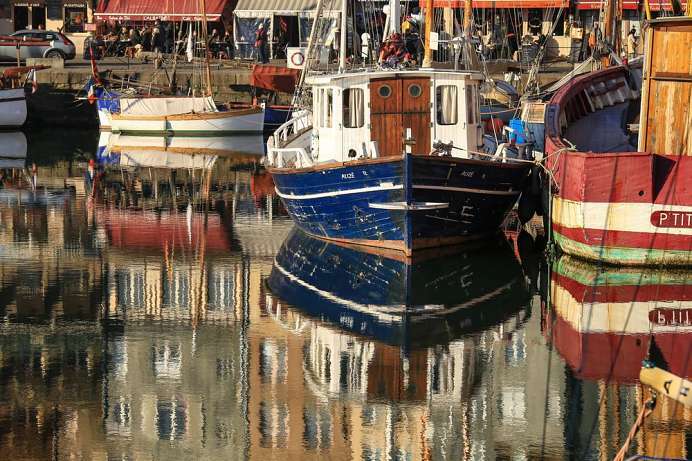 Already in the 19th century, the picturesque harbor town attracted famous painters, including Courbet, Renoir and Cézanne. Even today, the painters stand by the wharf and in the Greniers à Sel, the salt warehouses at the fortress.